Be the first to share your favorite memory, photo or story of Maryln. This memorial page is dedicated for family, friends and future generations to celebrate the life of their loved one. Maryln J. Brown (nee Weber) age 82 of Slinger, Wisconsin passed away Monday, January 21, 2019 in Slinger, WI surrounded by her loving family. Maryln was born August 21, 1936 in Milwaukee, WI to William and Clara (nee Gutchenritter) Weber. She was united in marriage to M. James Brown on May 25, 1957 at St. Kilian Catholic Church in Hartford. Maryln enjoyed sewing, reading, knitting, gardening, puzzles, and camping with family. Maryln is survived by her husband, Jim; children, Kathleen (Mark) Brown-Kurtz of Jefferson, WI, James Brown of Grafton, WI, Judy (Pepe) Gonzales of Miami, FL, Mary Eutsey of West Bend, WI, and Cheryl Matenaer of West Bend, WI; grandchildren, Joshua Kurtz, Christopher (Marie) and Alex (Becca) Gonzales, and Emily and Elliot Eutsey. Sister Lorraine Coanda and brother Donald Weber; brother-in-law Franklin Brown. She is further survived by nieces, nephews, and other relatives and friends. She is preceded in death by her parents, brother Willard Weber, and brother-in-law Richard Coanda and sister-in-law Rosemary Brown. 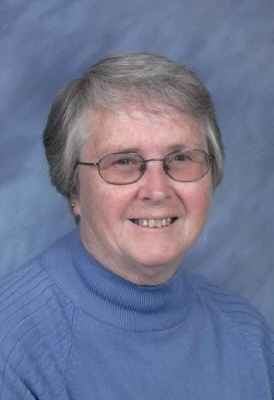 Mass of Christian Burial for Maryln will be celebrated, Friday, January 25, 2019 at 12:00 noon at St. Kilian Catholic Church (264 W. State Street Hartford, WI 53027) with Fr. David LaPlante officiating. Family will greet relatives and friends at the church on Friday from 10:00 - 11:45 a.m.
Interment in St. Kilian Catholic Cemetery. In lieu of flowers, memorial to St. Kilian Catholic Church are appreciated. To send flowers or a remembrance gift to the family of Maryln J. Brown, please visit our Tribute Store. "Email Address" would like to share the life celebration of Maryln J. Brown. Click on the "link" to go to share a favorite memory or leave a condolence message for the family.